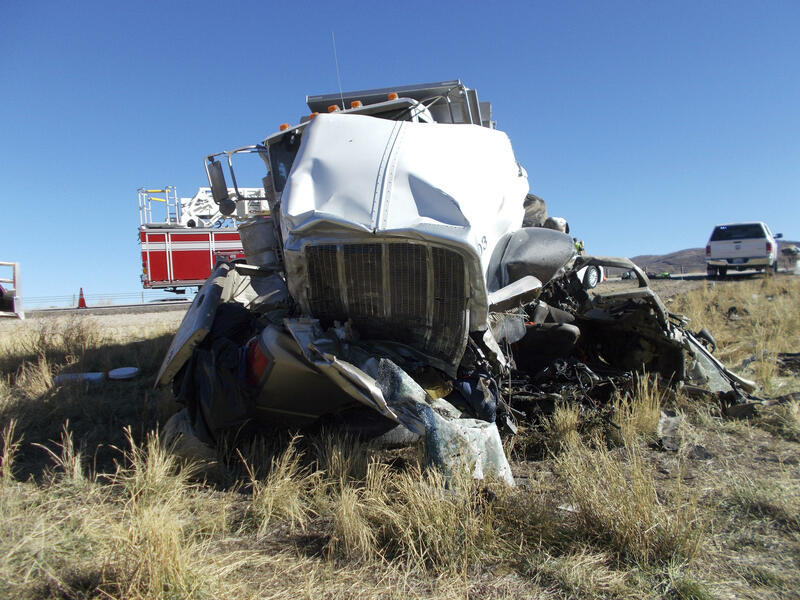 SALT LAKE CITY -- Five of the six men killed last week when a dump truck collided with a pickup truck on a Utah highway were from Honduras, authorities said Monday. Efrain O. Cardenas, 62, of Salt Lake City, is the only one of six victims identified so far, after a deadly crash on State Route 40 on Friday, CBS Salt Lake City affiliate KUTV reports. Three of the men were ejected and all six died at the scene. The men were traveling to a work site, authorities said. Viridiana Cardenas, the daughter of Efrain Cardenas, told KUTV her father and the five other men worked together. They were driving back from a week-long out-of-state work trip, she said. She told KUTV that her father has obtained permits for years from federal agencies like the Bureau of Land Management to collect wild seeds. He then would sell the seeds to companies that restore forests after wildfires. "They were good people. Hard workers, " she said. Cardenas said she doesn't know much about her father's work companions, but her family tried to reach out to their families in Honduras by searching for possible relatives on Facebook. When questioned by authorities after Friday's fatal crash a state highway near Heber, about 15 miles south of Park City, McKenzie denied drinking alcohol and refused a blood alcohol test, according to a probable cause statement.